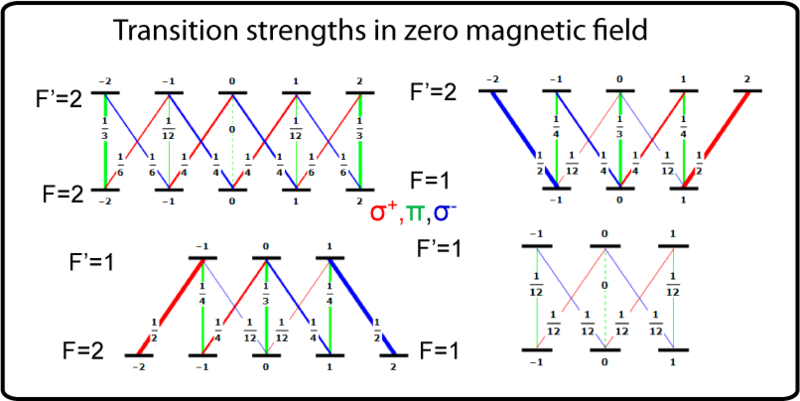 In zero magnetic field the transition strength may be easily calculated with angular momentum theory and the help of the Wigner–Eckart theorem. Transition strengths between the hyperfine levels of rubidium-87 and different polarized light. For intermediate fields in the range of a few hundred Milliteslas neither the weak field approximation of the Zeeman regime nor the fully decoupled Paschen-Back regime is a good basis. 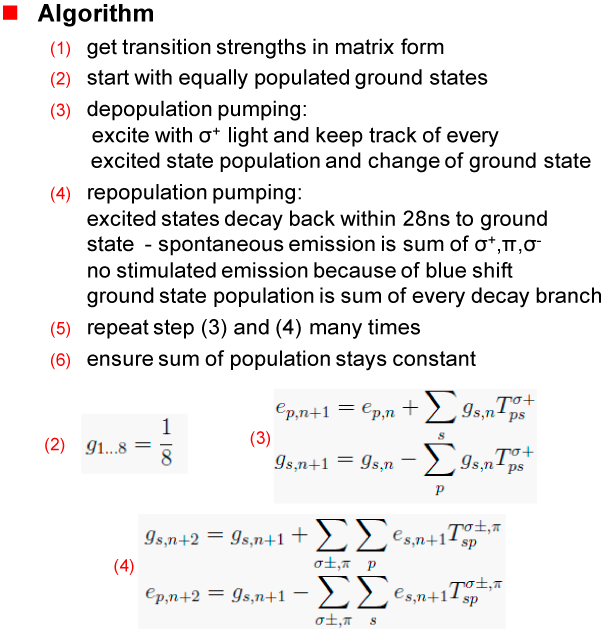 The full Hamiltonian has to be diagonalized in the eigenbasis. The ESR-peak intensities were simulated with a simple pump model of a free Rb atom. 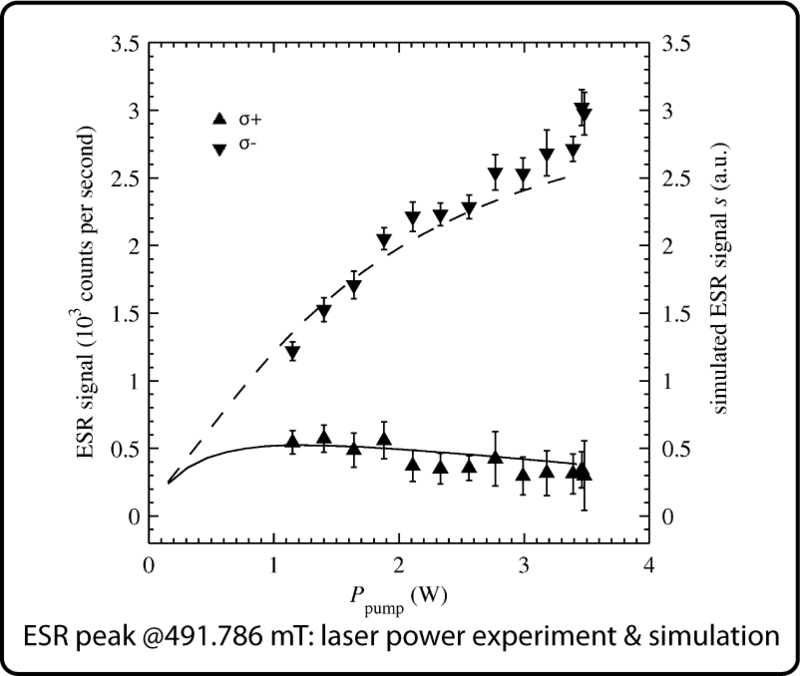 The model predicts the amplitudes of the four ESR lines under different pump laser polarization very well. It also accounts for the pump/probe laser power ratio. The simulated optical pumping in intermediate magnetic fields versus the measured signal power. For further spin labeling experiments the ESR peak @ 113.595 mT is the most promising candidate in respect of sensitivity and SNR.